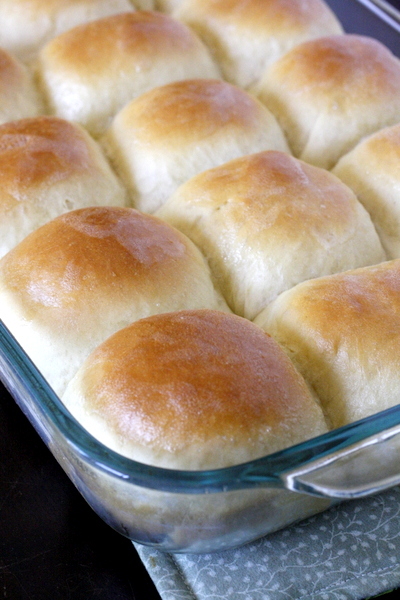 I’m making a ton of rolls for this weekend, so I may try this recipe! If I make them and freeze them, do I let them thaw first, and then bake as usual, or bake while frozen and cook for longer? Or would it be better to bake them and then freeze them, then use the oven to just warm them up? This was my first attempt at yeast rolls. luckily my husband bakes bread a lot otherwise I would not have known to sprinkle additional floor on the dough when beating it down, as it was very sticky. Great recipe though. Did you figure out how to bake after freezing? I don’t have a stand mixer i can do it by hand. Can the the initial, part be done in a bread machine? If so at what stage do you shape? 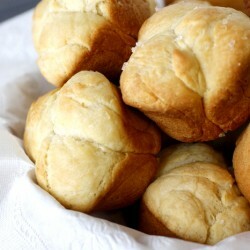 So easy and tasty bread rolls. I filled some rolls with dark brown chocolate, kids loved it. Yes- easy to mix with a wooden spoon! You can mix with a wooden spoon if you don’t have a mixer! Made these today so I could freeze for Thanksgiving in a couple days. Found I needed to add more flour, just too sticky. Baked at 375 one in glass pan, one in aluminum pan for the 14 minutes. Glass pan got nice and brown. The aluminum was on the rack below and did not get brown. So, I continued baking the aluminum at least 8 minutes more. Thought the glass pan was cooked, not so lucky, after letting it sit for 15 minutes, discovered still doughy, real doughy. So I would say, cook longer than 14 minutes. I have an electric oven and checked the heat, and it was fine. Is 2 TBLS yeast correct? Seriously you guys! These are hands down the best rolls I’ve ever had! I made the roadhouse restaurant version and they don’t compare to these. 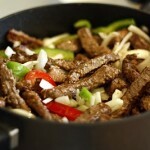 I’ll be sharing this recipe with everyone! Absolutely happy! Thanks for sharing! Going to try these for our dinner tonight! 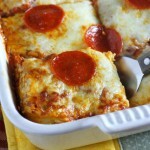 I would love to try this recipe! Can you pls tell me at wich stage I can freeze them? Hi! 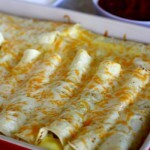 I want to try this recipe to and i am just wondering at which stage i can freeze them! What did you do? 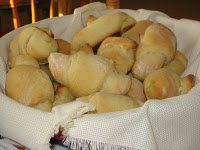 @Maria Estay you can freeze them after your form them into rolls but before you let them rise the second time. I made these today. The only thing I did differently was to use bread flour. Man oh man were they delightful. I’ve been experimented my with different rolls to take as my part of Christmas Eve dinner this year. This one is perfect. They are light and airy so you can slather on the butter and just enjoy. 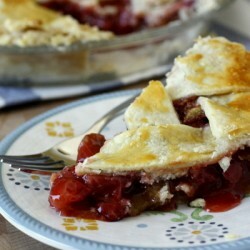 However, they are tall and sturdy enough to slice into in order to lay on a little ham or turkey for petite sandwiches. Perfection!! This recipe can be made with a spoon to mix ingredients and then knead dough by hand. Enjoy!! My dough is riding as I type this. You can just knead the dough by hand. 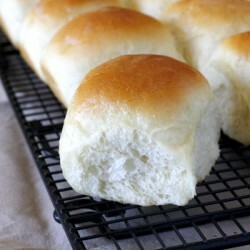 I’m in the process of making these rolls. Does anyone know approx. how many oz. these rolls should be? Directions read to bake for 12 to 14 minutes but what size do they need to be? Thank you. Mine ended being about 1.75oz a piece. These were delicious! Texture, shape and taste were all very good but the color, unfortunately, was lighter than butter! Any suggestions?? Thanks! I finally made these rolls. They are amazing! The texture is great. The only thing is the color. I let them stay in for five minutes and it turned a little darker. The butter was only slightly lighter. Still great rolls. How much dough is needed for each roll if it makes 30? 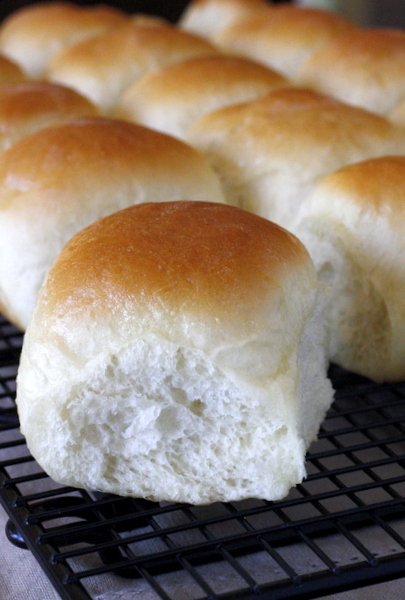 Do you know the nutrition information for these rolls? Really good, by the way! This recipe was perfect. I did the kneading in my bread machine. I was really skeptical about how they would turn out because the dough seemed really dense itself, but they turned out so light and airy, literally perfect. One tip is make sure your dough is in a big enough bowl because I wasn’t prepared for the dough to rise and basically triple it’s size. These were perfection. I’ve always struggled with yeast breads but I found succes with this recipe. As one of the ladies above, I used bread flour. I have a gas oven (which seems a bit on the cool side) so I had to bake a bit longer. This was my first “bread” baking I have ever done, as the idea of using yeast made me nervous because I didn’t want to screw it up. WELL, I am on my second batch in a week and I love them and so does everyone else i brag up my first rolls too! Thank you! Have been making these for like 30 years, came from a Bread Receipes book. It is fantastic. 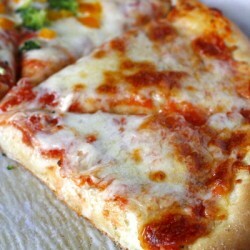 A soft dough. I combine flours, oatmeal, whole wheat, gluten, white. If using whole wheat need the gluten for being fluffy and not hard. I keep the white to 50% and the play around with the others to come up with the total amount of flour. Also, do NOT try to double!!! It makes to much for mixer and the mess and clean up is horrible. Make two separate batches. Always had to make two batches because they went so fast. Enjoy. Hey, forgot! These are great to warm up later. Put in microwave for about 15 seconds. Warm, moist, not dense and chewy like most microwave reheated bread. After shaping place on sheet and freeze. Once frozen transfer to bag until ready to use them. Those asking about freezing, this note is added at the end of the recipe. 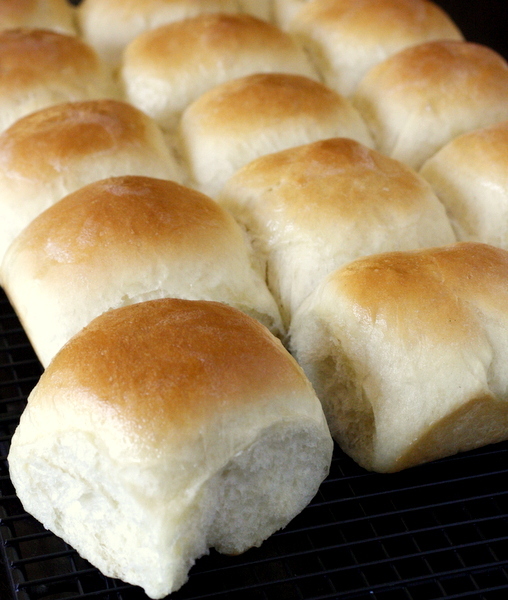 To freeze unbaked rolls, follow the recipe up through shaping the rolls. Place the rolls immediately into the freezer. Once frozen, transfer them to a freezer bag until you’re ready to use them. To bake, place frozen rolls in a greased pan, cover and let thaw and rise,about 5 hours depending on the warmth of your kitchen. Bake as instructed above. I made it with just my hands multiple times and they were great. 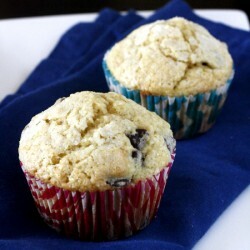 Whole wheat flour and regular on many occasions! What temperature should the milk be before adding the yeast? I think I read somewhere that milk should be 105-110 degrees, but I never actually check the temperature. I just heat it until it feels warm, but not hot. Just made these for Christmas , they turned out beautiful! Glad you enjoyed them, Sharon! I thought the same thing. I had 2 packets of yeast on hand and just used them both and they turned out fine. Can you tell us weight of “6 cups all-purpose flour”? I normally just roll them into balls. Next time I make them I’ll try to remember to take pictures! Um…I’m mathematically challenged…severely. So, when you say 5 rows of 3…do you mean that there are 3 rolls on one across-row and there are 5 rows down? Sorry. I’m envisioning this and cannot see only 3 roll balls on each row of 5. That’s a lot of room between rolls. Please, could you email me? Thank you! Hello I would like to try this recipe but I’m wondering if the temperature is in Fahrenheit or Celsius? Wow! 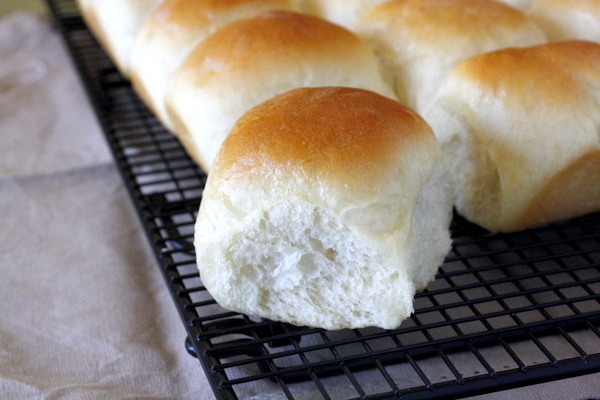 These rolls are fabulous! I didn’t have regular fat milk and didn’t want to use skim milk so I substituted coconut milk- perfect! Also mixed this dough by wooden spoon and kneaded by hand and dough was still great! This is got to be my favorite roll recipe ever! 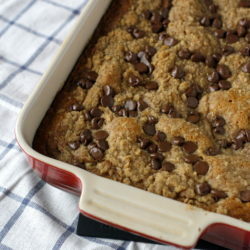 Thanks Megan for sharing this recipe! Can’t quit eating them. Coconut milk- what a good idea! And glad to know they turn out great kneading by hand. Thanks for letting me know! I’m sorry, I’ve never heard of K&W – hopefully someone else can help you out! Roll them into balls. Put 3 across and 5 down in the pan, for a total of 15. When left to rise again for an hour, they will puff up and look squarish. They will run into each other and when baked look just like the picture! I had to knead these by hand, but they were my very first try at raised rolls and they turned out great! I’m so glad you liked them and they turned out well for you! Made this for the first time and I must say I was pleased with the results! However leaving the rolls to rise for the second time left me really impatient I must say. 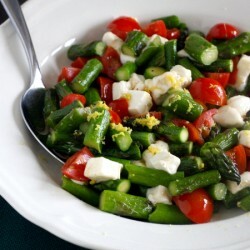 This is a good recipe but I wish it just ddn’t have a lot of prep time. Your comment just saved me $275 lol. Thank you. If I make these the day before, how can I re hear them the next day? Pop them back in the oven? If so, for how long and what temperature? A gentleman a couple of comments above mentioned a quick 15 second reheat in the microwave works well. I’m sorry to hear they didn’t turn out well for you. I haven’t had that problem…I’m wondering if maybe the dough rose for too long? Turned out pretty but had no taste except yeast.